This NEW Julius beltharness stands for quality, safety and modern design. 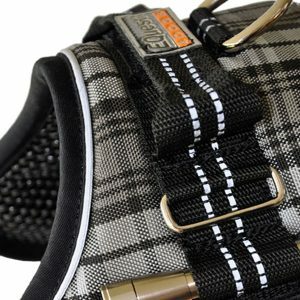 This IDC Belt harness is robust and therefore ideal for your dog. This harness has adjustable straps around your dog’s front chest and comes from the Color & Gray series. It looks like a Norwegian harness. This development guarantees an ideal distribution of pulling forces focusing on the chest. Your dog’s chest and ribcage absorve the forces of the tension, it will spare the neck of your dog. 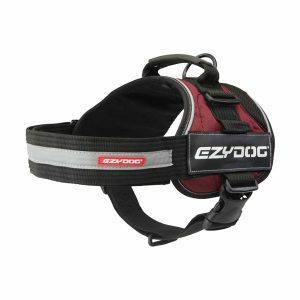 Thanks to the fully adjustable chest and tummy belt, this high-quality dog harness is customizable to your dog’s individual shape. The excellent quality of the heavy-duty buckle and highly stable clasp are guaranteed. At the top is a metal ring for attaching the leash, there is also a practical handle to allow you to lift or hold your dog back for a short time. Thanks to a Velcro pad, the handle of the IDCBelt Harness can be easily attached, therefore preventing a free-running dog from getting stuck. This belt harness is lighter and less restrictive. It is the perfect alternative for use in warmer summer months due to its light weight. The IDC Belt Harness is ideal for group sporting activities, excursions into the wilderness or for professional use. At both sides of the harness there is room to stick nice and funny namestraps . Your dog can ‘talk’ by those labels to send a message of there job, training or anything else what’s important to tell such as the name for an individual and original look.